The special counsel Robert Mueller is said to be facing intense pressure to wrap up the Russia investigation soon. 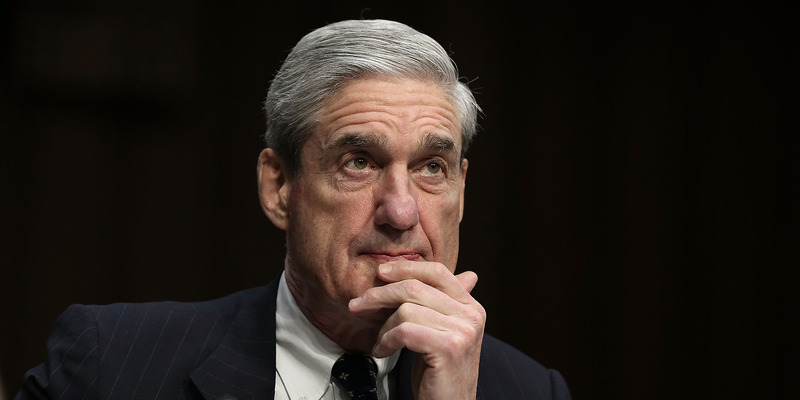 Two US officials told Bloomberg that Mueller is expected to deliver his key findings shortly after the November midterm elections. Mueller is likely close to tying up the obstruction thread of the Russia investigation, but legal experts say he doesn’t appear close to wrapping up the investigation as a whole. Deputy attorney general Rod Rosenstein is ramping up the pressure on the special counsel Robert Mueller to wrap up the Russia investigation, Bloomberg reported on Wednesday. Mueller is expected to deliver key findings shortly after the November midterm elections, two US officials told Bloomberg. He is also reportedly close to getting answers to the two core questions in the investigation: whether members of President Donald Trump’s campaign colluded with Moscow to sway the 2016 race in his favour, and whether Trump sought to obstruct justice after the existence of the Russia investigation became public knowledge. News out of Mueller’s office has been relatively slow over the last few weeks, which legal experts say suggests the investigation is continuing to run smoothly. But Rosenstein’s reported demand of the special counsel raises new questions about whether the White House is pressuring the deputy attorney general to shut down the Russia investigation as Rosenstein’s own future at the DOJ hangs in the balance. Trump’s legal team has for some time called for Mueller to issue his final report soon so that it is not released too close to the midterm elections. Mueller has not given any public indication that he will do so. But his team is said to have told Trump’s lawyers earlier this year that it expected to wrap up a report on the portion of the investigation involving whether Trump obstructed justice by the end of the summer. 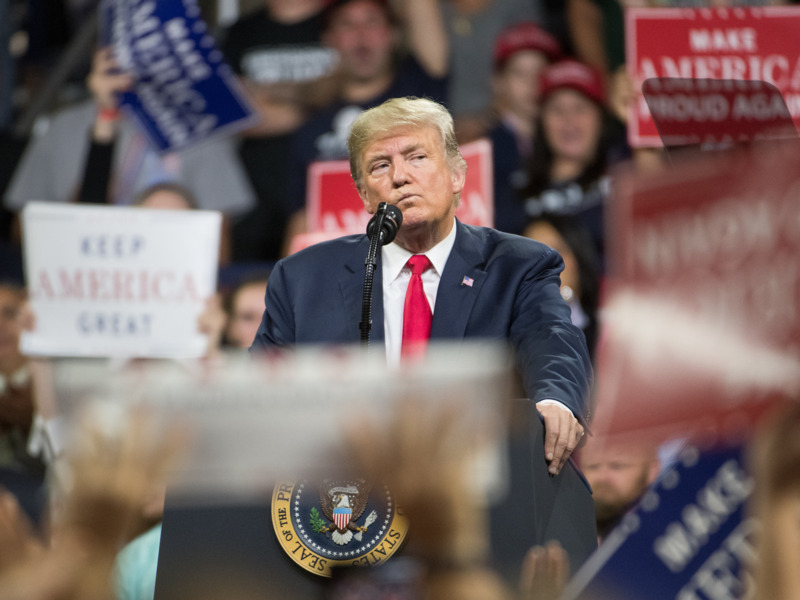 Sean Rayford/Getty ImagesPresident Donald Trump was a millionaire by the time he was 8-years-old, according to an expansive report from The New York Times. But that timeline grew longer as Trump’s legal team and the special counsel’s office repeatedly failed to agree to the terms of a presidential interview. Trump’s team is currently in the middle of providing written answers to the special counsel on questions focusing on potential collusion with Russia. Mueller has reportedly made clear that he wants to ask follow-ups as well, and prosecutors have not ruled out a one-on-one sit down with the president. Jed Shugerman, a professor at Fordham Law School, said he believes it is significant that Mueller agreed to narrow the scope of his initial questions for Trump to focus on collusion rather than obstruction. “It suggests Mueller thinks that’s more significant and worthwhile at this stage,” he said. The special counsel snagged his most significant victory in the Russia investigation in September, when he secured the cooperation of former Trump campaign chairman Paul Manafort. What Manafort knows is important for several threads of the Russia investigation, like the hack of the Democratic National Committee and any communication between Trump campaign members and Russian interests. But the biggest value he brings to Mueller is the ability to shed light on the controversial June 2016 meeting at Trump Tower between campaign officials and Russian lobbyists. Manafort attended the meeting along with Trump’s son Donald Trump Jr. and his son-in-law Jared Kushner, and it eventually emerged that, contrary to Trump Jr.’s initial statements, the meeting was pitched as “part of Russia and its government’s support” for Trump’s candidacy. It is a federal crime to accept something of value from a foreign government in connection to an American election, and experts have suggested that if Trump campaign officials took the meeting to get dirt on then-Democratic nominee Hillary Clinton, it could place them in serious legal jeopardy. The midterms are less than a month away, and it’s highly unlikely that Mueller will release anything before November 6, out of concern that it could violate DOJ guidelines about taking any overt actions that can be seen as influencing the outcome of an election. If Mueller is going by Rosenstein’s timeline, it’s possible he could release something big shortly after the midterms. But so far, his office has given no indication that it is anywhere close to wrapping up the Russia probe, and experts say it’s unlikely he will be done by November, though Manafort’s cooperation likely moved up the timeline. The special counsel is also speaking to Michael Cohen, Trump’s former longtime lawyer who pleaded guilty over the summer to separate charges related to tax evasion, bank fraud, and campaign finance violations.